Splitkart is one of the first Unified Payment Interface supporting apps that is built as a expense splitting App. The app is based on the Unified Payment Interface which is designed specially to ensure the security of every online money transfer operation. The Unique Identifier feature of the app works as a tool behind each and every transaction that take place through the app. Currently the Splitkart group is partnered with the Yes Bank UPI. The app shows a well-observed study of the current scenario of online monetary transactions and thus has every necessary element to make these transactions easier while keeping a keen eye on the security aspect. Deals with the Restaurants: Splitkart provides you with the eligibility to avail the best deals on a number of Restaurants in the NCR region like Boombox, Bunker, Lights Camera Action, Mafioso, Moti Mahal, Café, New York Slice, Kitchens of Asia,etc The same remains even when you make any online order from the popular sites like Dominos, Swiggy, Faasos, etc. 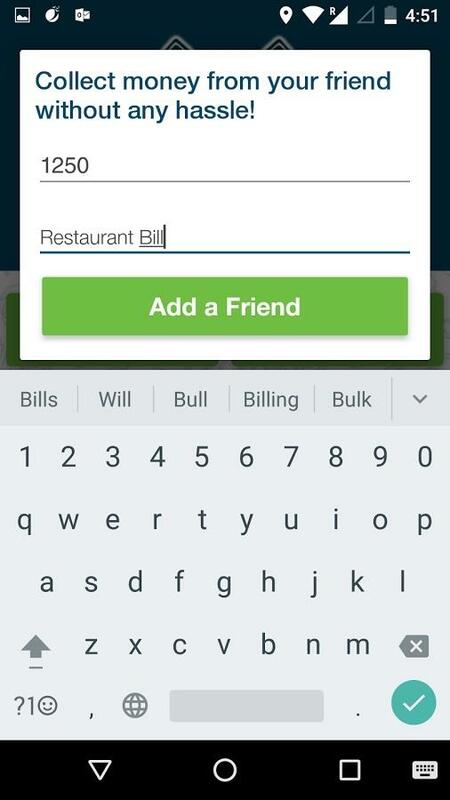 In-app Chat Functionality: Splitkart has all those In-App features that makes any online payment easier than before. One such feature is the chat functionality where the users are allowed to create a group and plan out an event where they can share their expenses through the split Payment option besides the photos and videos. 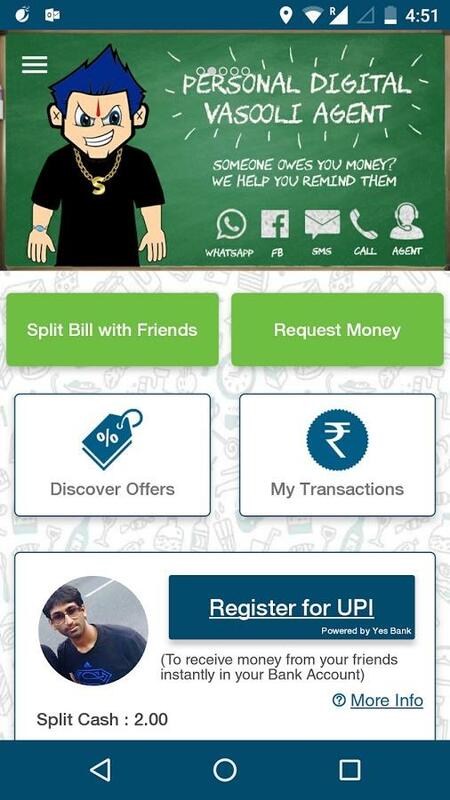 Split Payment: This option of "split payment" makes the Splitkart app stand at par with the other latest UPI apps, where the user can split a payment at a point of time while making a payment. This means that during any online monetary transaction a member of a group can initiate a process of paying for an event or a product and can invite other members to contribute for the same through the app. This is ideal for events like a friend's party, or buying a gift on behalf of a group and so on. UPI & Mobile Wallets: Now paying through the mobile has got easier and safer with the Splitkart App. It is offering a better solution for making payments through this App while it guarantees security through its Unified payment interface(UPI). It even includes the linkage with every major online wallets like Paytm,PayuMoney and others. Social Media Integration: Splitkart knows it well how we like to share the moments our life with our friends on social media. So the app has integrated the social media sharing option where every user gets the chance to share the restaurant deals they could avail through the app. It is definitely an intelligent move as the entire chain of merchants along with the hosts of app get to advertise automatically. Reminder Option: If someone from the group owes the payment, the app will send an automatic reminder, till he/she pays back so that you do not need to face the embarrassment of asking them or reminding them. The interface of Splitkart app is quite appreciable because of its smart look and functionality. The app has equally distributed its concern on the security as well as the integrity of the usage of the app. The restaurant deals, the split payment functionality and the in-app chatting facility were all necessary to make the app trendy and secured as well. There is no direct bill payment option. Finally, as one of the non-banking UPI app, Splitkart has undoubtedly made its entry, by including the major features of Online Payments. With more updates, the app shows plenty of scope to develop itself and become one of the indispensable apps in the coming days.